Standard Shipping is FREE on all orders. Your order should arrive within 10-15 days. We are sorry but expedited shipping is not available due to the nature of personalizing the pillows. We do not ship outside the United States. Personalized items cannot be returned unless there is a defect in workmanship or materials. We are proud of our workmanship and attention to detail and expect you to be 100% satisfied with your purchase. If you are unhappy with your item, please contact us immediately so we may find a solution. Atoothfairypillow.com has done our best to display as accurately as possible the colors of the products shown on the website. However, because the colors you see will depend on your monitor, we cannot guarantee that your monitor’s display of any color will be accurate. 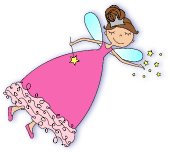 The information on the atoothfairypillow.com website may contain typographical errors or inaccuracies and may not be complete or current. We therefore reserve the right to correct any errors, inaccuracies or omissions and to change or update information at any time without prior notice (including after you have submitted your order). Atoothfairypillow.com cannot be responsible for any direct or indirect losses or damages arising from the use or inability to use the atoothfairypillow.com website. Looking for Boys Tooth Fairy Pillows?